We want to share with you some exciting news about your portfolio and our platform! Since you started your halal investing journey with Wahed Invest, we’ve experienced tremendous growth – now serving over 5,000 clients with your same values! 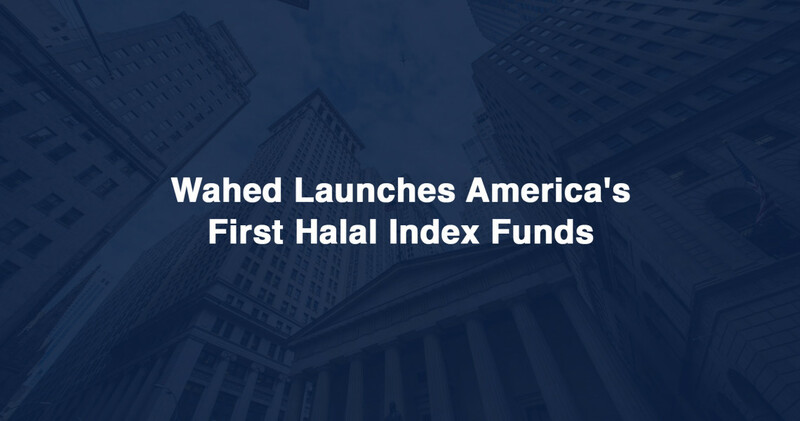 We started by revolutionizing the industry with the first ever halal digital investment advisor and today we are proud to announce the launch of our very own, and the first in North America, halal index funds – the Wahed S&P Shariah Fund and the Wahed S&P Dividend Growth Fund. We’re excited to be collaborating with S&P, one of the world’s leading financial services firms globally, to achieve this milestone in our industry. These new funds will replace three of the existing mutual funds in your portfolio and all of our portfolios will be re-optimized with their addition. This won’t require any effort on your part! You may be wondering why we decided to release the new funds and make these changes. Below I’ve outlined the three main reasons we took this decision and why we believe it is the best decision for your portfolio. It matches your values. These funds take the S&P 500, the widely used index to gauge large-cap US companies, and omits prohibited sectors as per Shariah guidelines (e.g., alcohol, gambling, weaponry, interest, adult entertainment, etc). It performs well. Since inception, the S&P 500 Shariah Index has performed in line with the broader equity market, showing that adherence to halal investing principles need not come at the expense of less attractive returns. Further, research has shown that in the long run, passive investment strategies that mimic the overall market tend to perform better than actively managed funds. For a more detailed discussion on this, we’re having a webinar on this topic in the coming days which you can sign up to by clicking the link at the bottom of this message). It costs less. Unlike mutual funds, these Wahed S&P funds are offered with zero fund management fees to all Wahed clients making them more attractive with no compromise on returns and more importantly, no additional layers of fees. As part of this effort, we are also readjusting our pricing structure to a more simple two tiered model. If you invest under $100k, your new annual fee will be .79% and if you invest over $100k, your new annual fee will be .49%. The new pricing model, coupled with our new index funds, means every risk profile we offer will get an overall fee reduction. We feel this is critical, because in the long run, fees tend to be one of the biggest reductions in overall earnings potential. I hope you’re as excited about this news as we are! I want you to know that over the next year, we will continue to revolutionize halal investing by focusing on our values, performance, products, and service. Our intent is to bring more awareness to these shared values and to showcase their effectiveness. We will also aim to build a better relationship with you, our clients, and our overall communities at large. I want to thank you personally for your continued support and for trusting us. Without it, we wouldn’t have made the progress we’ve made thus far and with it, I know we can continue to bring about this much needed change in the way we invest. I would like to know if this fund is in proportion to S& P 500 Index by removing non Shariah stock. Also I’m from India, what is the to invest in US stocks.